But there is plenty going on to distract you from the acting. The three-dimensional, high-tech set is the undoubted star of the show. Using very flashy electronics and symmetrical mathematical patterns, it neatly reflects the connections going on in the unusual brain of Christopher. The set is capable of some remarkable effects, effortlessly conjuring up rain, a London underground platform and even the accompanying escalator. Mostly devoid of dialogue, the high-energy scene when Christopher travels to London is brilliant - the sophisticated set goes into overdrive using light and noise to perfectly capture the frenetic atmosphere of London. At the same time, some intricate choreography, expertly performed by the cast, evokes the bizarre mix of mayhem and order that is the London rush hour. It follows on from a similarly-effective, but much calmer, scene in which Christopher completes a model railway, the stage lights go down, the train glows and starts rolling around the track. 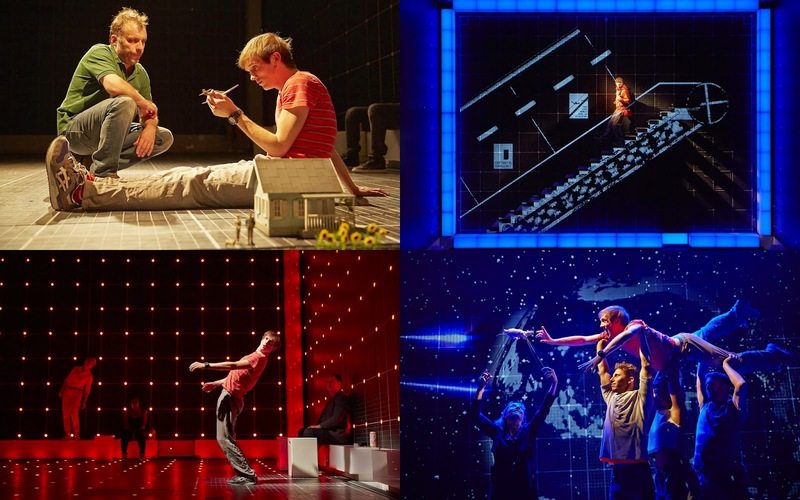 The high-tech gadgetry is all the more striking in the elegant and intimate Gielgud Theatre.